Have a cup of joe with the Flash! 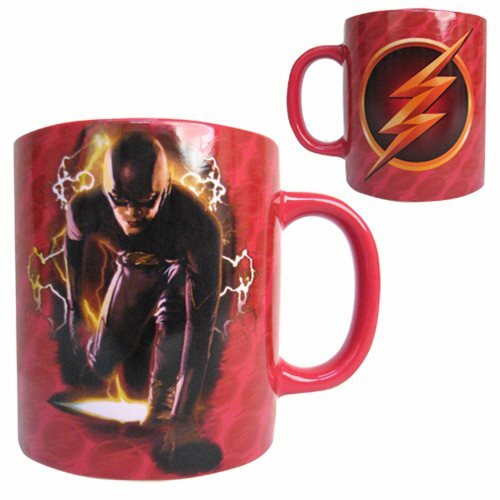 This Flash Version 1 Mug features Barry Allen from the tv show The Flash ready to run in full costume. Measuring 4-inches tall and holding 15 ounces of liquid, this ceramic mug is perfect for your beverage needs. Hand wash only. Not dishwasher safe. Do not microwave. Ages 14 and up.